When you click on Add new section you get to see multiple section options like custom code – which is nothing but your custom HTML code, Text – you can add nicely formatted text for your lesson here, scroll down for more. #2 column text – if you have too much of text use two column text to use the space effectively, 3 column text – three column text for better display, Image Text – To display a big image beside the text explanation , Video Text – to display video beside your lesson explanation , Image – high resolution images which can be used as lesson images, Video – good lesson videos for students. Once you are done with shaping your lesson you can Preview or Save it. 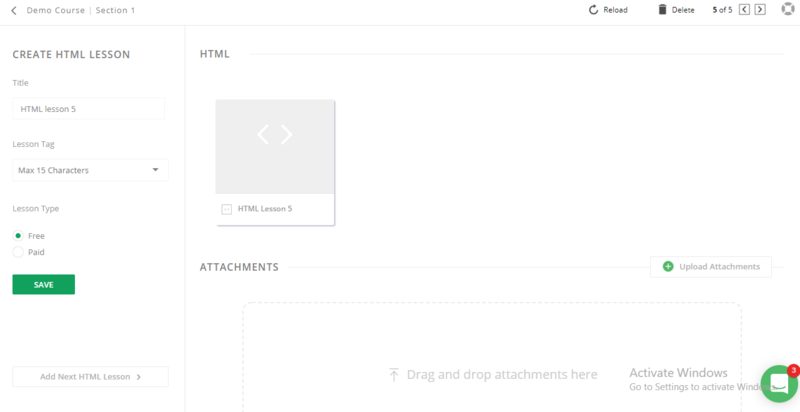 and click on Publish Button to publish your html lesson. Click on OK button. 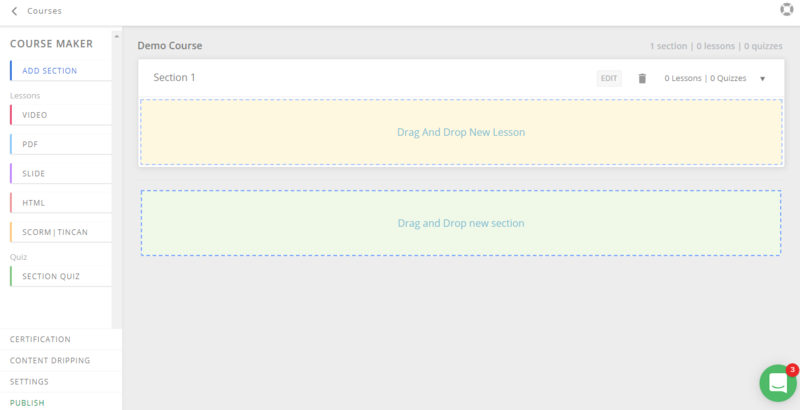 Now on lesson builder page click on Exit Builder button to return to course builder. You can see your HTML lesson added in to your course. Click on Publish. Please review publish settings before you publish your course and click on Publish. 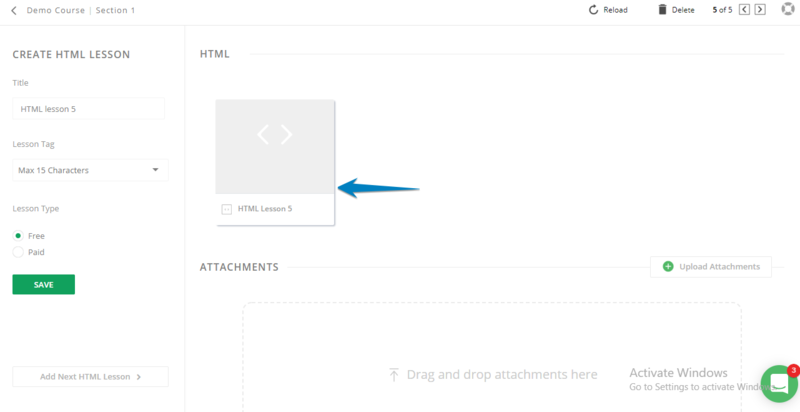 Once you have successfully published click on Preview School button to preview the html lessons added to your course.